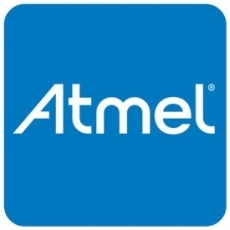 Founded in 1984 by George Perlegos, American-based electronics company Atmel Corporation is a global leader in the design and manufacture of microcontrollers, capacitive touch solutions, advanced logic, mixed-signal, nonvolatile memory and radio frequency components. With a corporate-wide commitment to quality and continuous improvement, Atmel’s ultimate objective is customer satisfaction. By providing innovative technology tools and solutions, Atmel enables their customers to be leaders in their markets, creating smarter products that are powerful, energy efficient, low cost, and versatile. At American Electronic Resource, we strive to be the industry leading electronic components distributor in the world by reliably supplying quality electronic components to our clients. We have access to a wide array of obsolete Atmel electronic parts and components. Click here for more information on Atmel electronics, or how to find electronic components. There are few companies that exist today that can match the record of innovations from the pioneering minds at Texas Instruments. As the founders of the first working integrated circuit (designed by renowned physicist and Nobel Prize winner, Jack Kilby), the first transistor radio, and the very first electronic handheld calculator, Texas Instruments has played an undeniably important role in the advancement and growth of technology. Today, TI’s core business is in producing semiconductors. Since its foundation in 1951, TI has grown to become the third largest manufacturer of semiconductors, the second largest supplier of chips for cellular handsets, and the largest producer of digital signal processors (DSPs) and analog semiconductors. Serving industries including digital communications, entertainment, medical services, education technology, automotive systems, and wide-ranging applications in between, Texas Instruments’ advanced products permeate daily life in many different ways. American Electronic Resource has a reputation as one of the most reliable and customer oriented independent electronic components distributors in the world. As a trusted supplier of high quality obsolete electronic components, AERI carries a wide selection of hard-to-find Texas Instruments parts to suit as vast array of technological needs. 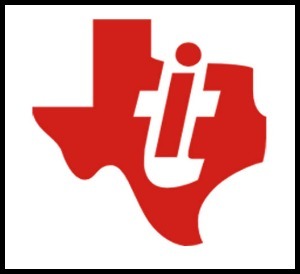 Click here for more information on Texas Instruments electronics, or how to find AERI electronic components. 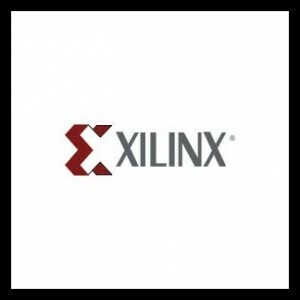 January Manufacturer of the Month: Xilinx Inc.
Xilinx Inc. is an American technology company in the business of designing and developing programmable devices for some of the most reputable companies in the world. Established in Silicon Valley in 1984, the Xilinx co-founders set out to be the leading company designing, manufacturing, marketing, and supporting user-configurable logic arrays for the application-specific market. After introducing a groundbreaking new technology to the masses – the field programmable gate array (FPGA) – Xilinx quickly paved the way for innovation in the semiconductor industry. Three decades later, Xilinx is the preeminent supplier of programmable logic devices, owning more than 50 perfect of the digital logic design market. As the world’s leading provider of all FPGAs, SOCs, and three-dimensional integrated circuits, Xilinx has been lauded by EE Times, EDN, and other distinguished electronics industry publications for their superior innovation and market impact. As a trusted supplier of high quality electronic components, AERI is your one-stop shop for a wide selection of obsolete and hard-to-find Xilinx parts and components. Click here for more information on Xilinx electronics, or how to find electronic components.